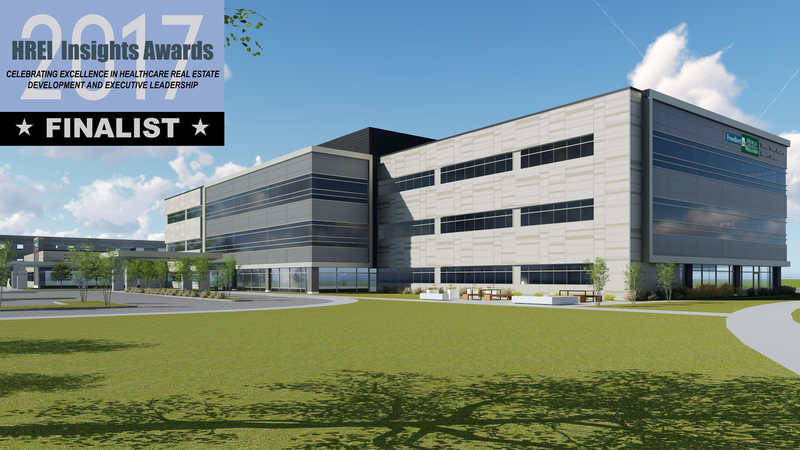 Last week, HREI Insights announced the finalists for its fifth annual awards recognizing excellence in healthcare real estate development and leadership. Among the chosen facilities was HSA PrimeCare’s recent development, the Froedtert & the Medical College of Wisconsin Drexel Town Square Health Center in Oak Creek, Wisc. The 109,000-square-foot state-of-the-art facility is due for completion next month and is scheduled to open by the end of January. The center will offer a wide spectrum of services including primary care, specialty care, urgent care, as well as an outpatient surgery center and full-service cancer center. Imaging, lab, and a retail pharmacy will also be available onsite. In the category of Best New Medical Office Building and Other Outpatient Facilities 100,000 SF or More, the Froedtert & the MCW Drexel Town Square Health Center is one of five national finalists. HREI Insights will present the final awards at the RealShare Healthcare 2017 conference in Scottsdale, Ariz. on December 7th. To view the complete lists of finalists in all categories, visit the HREI Insights website. For more information on the RealShare Healthcare 2017 conference, visit the GlobeSt.com event page.